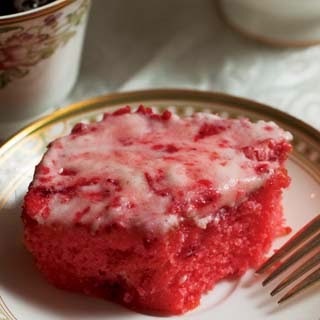 This pink cake with mashed sweetened strawberries and strawberry jello just tastes like summertime.. Mix all ingredients and pour into greased 9x13 pan. Store the cake in refrigerator; it's best when it's chilled for at least 2 hours.